What is it with video games and movies? Over the years there has been countless attempts to try and create a film based on a number of famous games with the likes of Super Mario and Hitman being some of the more famous failures. The list of good video game movies is very small and does not have a good track record as a genre. Unfortunately 'Warcraft' is yet another addition to the list of bad ones. As the Orc world is dying out, Gul'dan (Daniel Wu) a dark magician looks to create a portal to transport the Orcs to Azeroth, a land ruled mainly by humans. Gul'dan has plans to take over at any means and assembles an army to take out the humans. 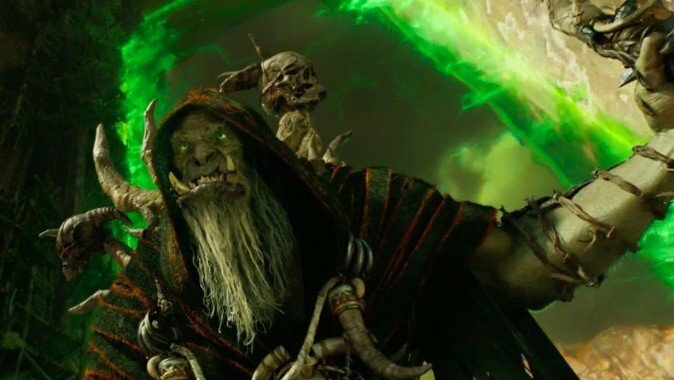 There are some sympathisers amongst the Orcs who feel that Gul'dan is the one responsible for the world dying and feel the same will happen again. 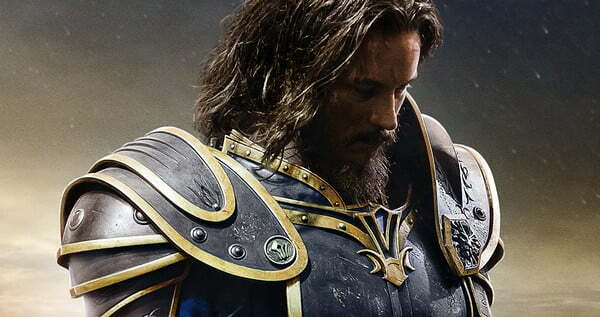 The humans are led by King Llane and warrior Anduin Lothar (Travis Fimmel) as they look to protect their kingdom. I think it is pretty safe to say that to the casual and general movie audience this movie will not be much of a success. The movie will make audiences question what on earth is going on throughout the film. This happens with the characters, their abilities, their morales, decisions and what they are saying. I can see that fans of the games may already be familiar with the characters and terms with them so this won't be a problem for them. However can only talk about my own experience and sadly I did feel a bit lost at times throughout the film. The film was certainly not helped out by its characters. The Orcs are all exactly the same as each other with nothing other than a few differences in appearances to tell them apart. In fact they are even quite similar in that way so you lose track of each Orc and what their morales are. The human characters aren't much better with some of the most boring characters ever. This really doesn't help the film as you don't really get any connection with the characters and later on when it tries to hit you with some emotional moments, you simply don't have any feeling due to lack of development. I even found that leaving the theatre when the film finished, I couldn't remember the name of any character other than of the Guardian Mediev. The characters are nothing special and won't spawn into well known characters in film any time soon. The film is also pretty misleading. It sets up for the humans and Orcs to team up to defeat the evil Gul'dan but that isn't the case. There is a scene where the two different species come together to discuss this potential partnership but it doesn't ever come to anything in the film. The trailers also led for this to be the case as well as the plot which it strangely never did. I also feel that a problem with this film was it trying to set up a franchise. There are different plot lines that have no real effect on the current story and are just there to set it up potential sequels. Some of these just waste time and others are actually quite insulting to the viewer due to them being incredibly dumb. For example, the ending of this is terrible as one of our protagonists finds himself in a very dangerous situation. However he is in luck as he is just free to leave without a scratch which is just baffling. It seems as if they realised they got a character they wanted to keep in a position that would lead to death and couldn't think of a good way to get him out of it. For a film like this that has many mystical creatures and settings the CGI has to be on point. This is the case at points with the scenery's and large scale battles being done very well throughout the film and look great. Some of the other creatures within the film look magnificent as well. I also really enjoyed the humans who possessed magic skills and feel that the effects really made what they were doing look really cool and effective. I wasn't a big fan of the Orcs in the film and personally didn't think that the CGI creations looked that great next to everything. Also them all being quite similar didn't help me either throughout the film. The scenery and mystical creatures are some of the few highlights in the film. The main villain Gul'dan wasn't used to full effect either. Bizarrely he isn't in the film that much and could've been much more threatening. He also suffers from the classic villain trope of taking his time to dispose of an enemy. This is fine as it it part of the storytelling but straight afterwards he takes down three Orcs with ease which makes you instantly go "Why didn't you do that when you were fighting 1v1?". Hopefully in the sequel they do a much better job- although the chances of me seeing the sequel are currently very slim. An uninteresting story with uninteresting characters with a confusing story didn't make this a good viewing at all. 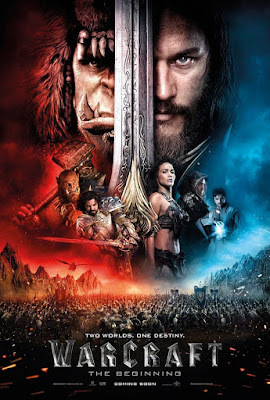 You might get more enjoyment from this if you have previous experience with the world of 'Warcraft' but for the casual audience, I don't see it being a big hit. So have you seen 'Warcraft'? If so what did you think of it? If you choose to go and see it, I hope you have a better time than I did! Once again thank you for reading my review, it is much appreciated!